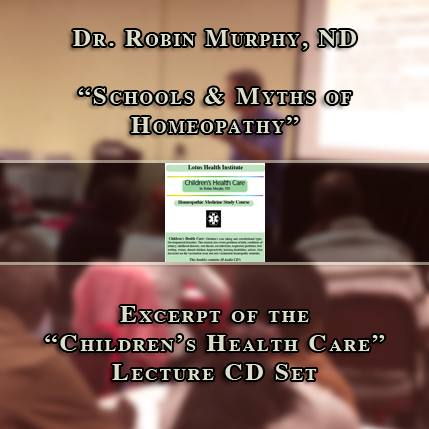 This podcast is an excerpt from Dr. Robin Murphy, ND's "Children's Health Care" Lecture CD Set. 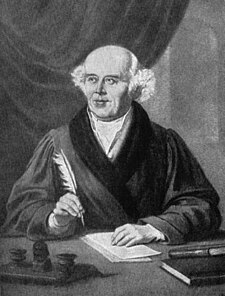 Dr. Murphy briefly speaks about different schools of Homeopathy (Hahnemannian, Kentian, etc.) and prescribing myths. Children's Health Care overs problems at birth, conditions of infancy, childhood diseases, sore throats, ear infections, respiratory problems, bedwetting, worms, abused children, hyperactivity, learning disabilities, autism, the vaccination issue, case taking and general children's remedies.